Mark your calendars for Saturday, February 2nd! 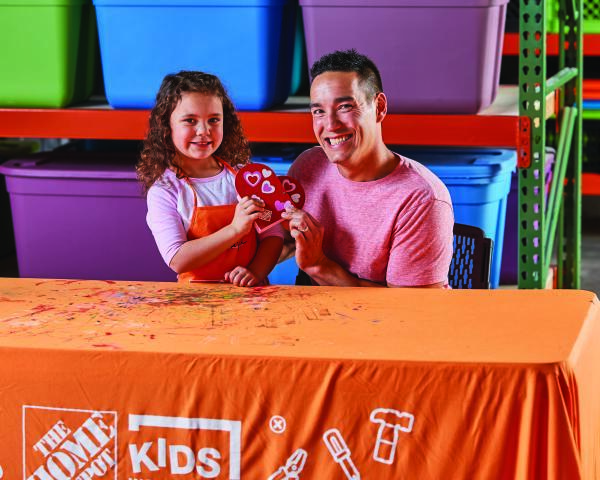 Home Depot stores will be offering a free workshop just for kids. They’ll be able to build a heart-shaped box, perfect for giving on Valentine’s Day! Once built, the kids can decorate it with paint and stickers. Please note that all kid attendees must be accompanied by an adult at all times. Kids will get to keep their craft, plus they’ll receive a workshop apron, certificate of achievement, and a commemorative pin! While the event is free, space is limited – so register ahead of time online! Has your child attended one of these Home Depot workshops? If so, I’d love to hear about it! Leave a comment below!